Consulting, advice and support in the world of Blockchain, DLS & Crypto. Attention: CARUS-AR is an investment in cryptocurrency using the ICONOMI platform. We provide advice to companies and private individuals who wish to know and understand more about blockchain, crypto and Digital Ledger Systems. This includes general DLS technology advice, how to safely buy and hold cryptocurrency and investment strategy. We provide consulting services at a hourly rate, please contact us if you want to know more about CarusAes consulting services. I love to speak and grow my network. CarusAes is the main organizer of a Dutch Crypto investment Meetup group and creator of cryptoinvesteren.info. I believe the crypto ecosystem will continue to develop the coming years, growing my network and knowledge is one of my main goals. Want to organize an crypto related event? Need a speaker? Contact me. CARUS-AR (CAR) is a diversified crypto portfolio managed by ICONOMI, the role of CarusAes with relation to CARUS-AR is advisory. Digital Portfolios, available through the platform, are managed by ICONOMI. My name is Menno Peter Pietersen I am a front-end web designer and developer with a passion for investing and cryptocurrency. I have been running a full-service web agency Any Screen Size for over ten years. I am very proud to be one of the 12 first Digital Portfolio Experts on the ICONOMI platform (formerly DAA Manager) since the start of the platform on 4 October 2017. As one of the most active ICONOMI community members I do all I can to share my views and keep investors updated. 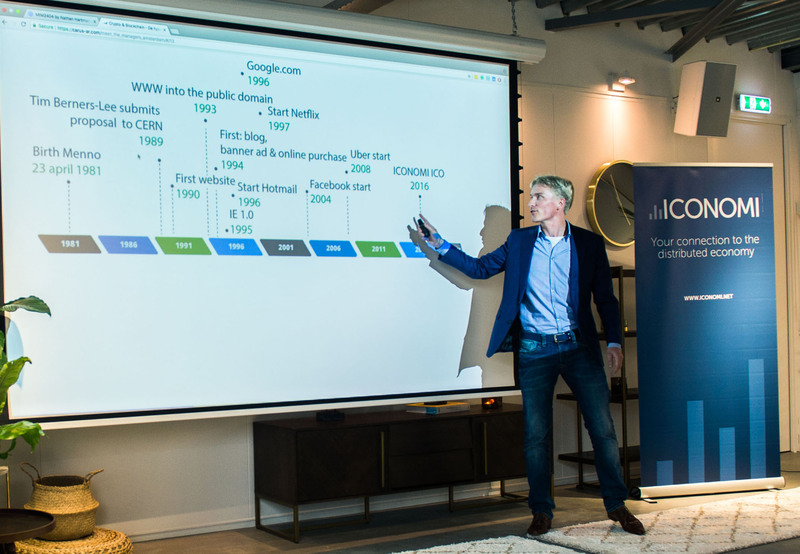 I have been featured twice now in the ICONOMI Insights series (interview 1 and interview 2) and have presentend at Meet the Managers Events in: Vienna and Amsterdam. When possible I join the ICONOMI team at events like Delta Summit 2018 in Malta. Bought my first Bitcoin December 2015, From early 2016 I have been reading, learning and focusing on Blockchain, DLT and Crypto all I can. As a front-end web designer and developer I hope to have a more technical view on crypto projects. My financial background is limited, I am invested in traditional markets, but not as a active trader. I have experienced both the latest bull and bear market for crypto and am able to use this experiance when I advise ICONOMI. Like with the invention of the telephone and the internet, crypto, blockchain and DLS are viewed as a hype, with very limited actual value. As we have seen the past years, bull runs, crashes and very high volatility is a part of this ecosystem. However even now, with the bear market, development continues, adoption is growing and regulation is getting created. We feel that another bull market will come, it is only a matter of time. The potential of creating digital, decentralized systems of value and trust is very large. Since the start of the internet one of the hardest problems is creating security, trust and value in this digital age. Blockchain and crypto are addressing these issues. Many crypto and blockchain projects are very risky, but also innovating and testing a quickly changing ecosystem. As the crypto and blockchain ecosystem matures, grows and gets accepted, projects with real value and developed platforms should perform very well. CarusAes provides consulting, advice and support in the world of Blockchain, DLS & Crypto. Please send any question or inquiries you have using the contact form.